Sailing yacht FEEL THE BLUE is an 18.3m/60ft luxury sloop-rigged catamaran built by Sunreef Yachts with naval architecture also from the shipyard. The GRP hull and superstructure provides a shallow draft for mooring in sheltered bays and coves, while the contemporary interiors accommodate up to 10 guests over five lavish en-suite cabins. The main deck aft is fitted with a hydraulic swim platform for easy launch and retrieval of the tender. When the area is clear, it can be used as a sunbathing area or to help guests in and out of the water. 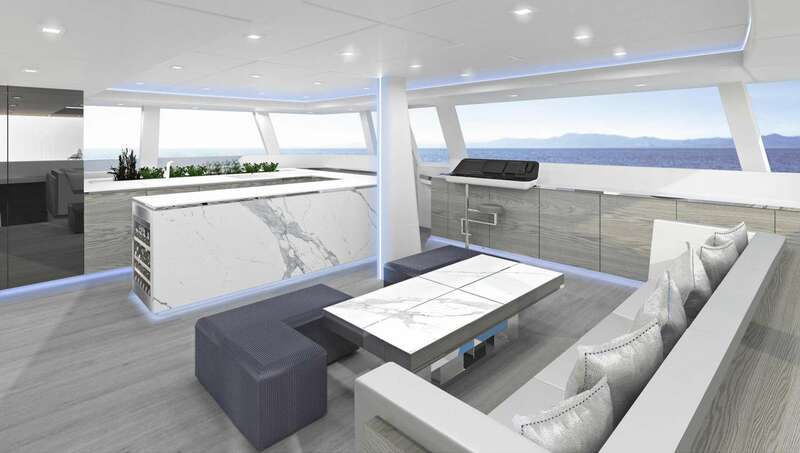 The aft cockpit is shaded by the flybridge overhang and a grand alfresco dining table to serve up to 10 is fitted into this space. 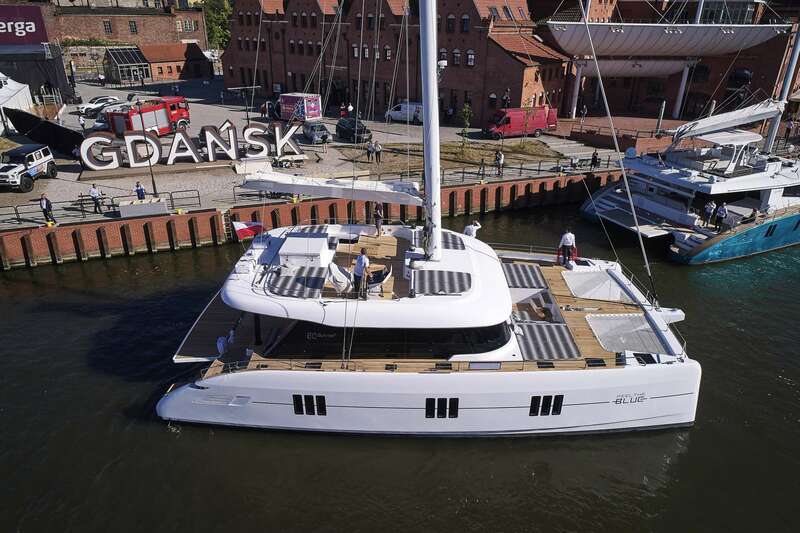 The foredeck has a sun pad either side in front of the helm station windows and two trampolines on the bow that will entertain children and make a comfortable place to sunbathe while listening to the ambient sound of water against the hulls. On the flybridge, the aft section has a lavish raised Jacuzzi sandwiched between two spongy sun pads, and the forward section also has two sun pads that receive sweeping views of the area. The lower deck hosts the accommodation, placing the crew quarters to the port aft and placing two further double guest cabins forward. 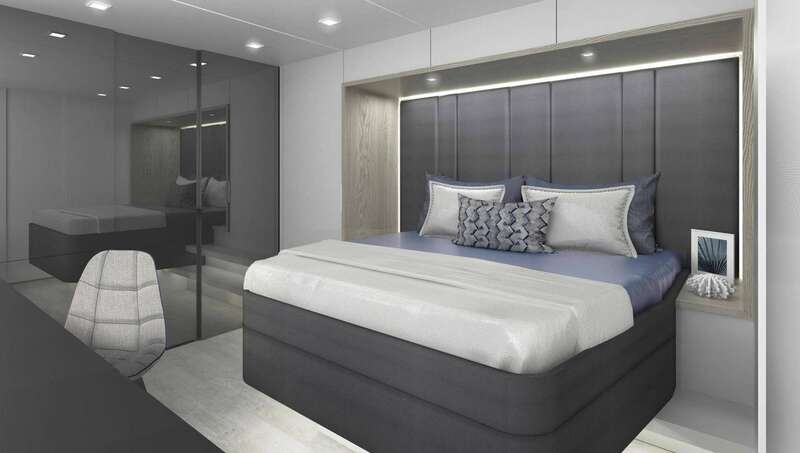 The starboard hull contains three double cabins and all have en-suite facilities. Three staircases connect from the accommodation up into the salon, where there is a forward helm station, a port galley and a starboard seating area comprised of a C-shaped sofa around a large coffee table. 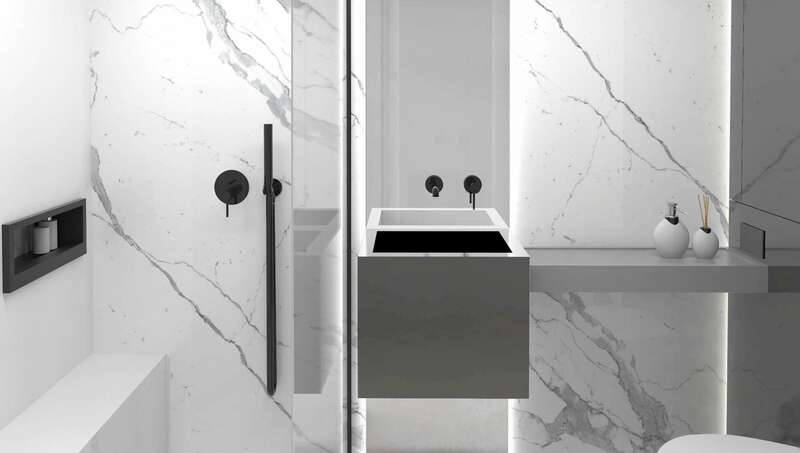 The pale white furnishings are complemented by marble with silvery-grey veins that match with the wooden cabinetry. 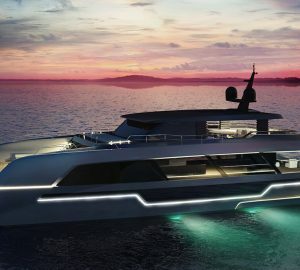 Light streams through from every direction and the glass sliding doors to the aft open the interior to the elements and connect with the alfresco dining area in the cockpit. The accommodation sleeps a maximum of 10 guests over 5 beautifully-appointed double cabins that each have en-suite amenities. The crew of 3 will take care of every detail throughout the journey. We do have available further amenity, owner and price information for the 18.30m (60') yacht FEEL THE BLUE, so please enquire for more information.